If someone were to ask you what the foundation of doing business was in a modern economy, what would your answer be? Would you answer technology? Relationships? Money? Power? While all of these things can certainly be important in the pursuit of business success, there is something even more fundamental to the conduct of business. It has formed the basis of economies, both formally and informally, for centuries, and, without it, business could not get done. If your guess was the contract, you’d be right. Think about it. 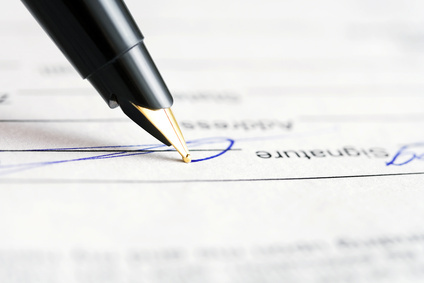 An agreement, usually between two parties, is how almost anything gets done financially. If it wasn’t for the promise of money in exchange for some kind of product or service — which is essentially what a contract is — would anyone do anything? In fact, one could delve even deeper into the meaning of a contract by taking money away for a moment. Even today, business is often done through barter: the exchange of one good or service for another — without cash. For example, a farmer could approach a tool supplier and promise some of his future crop yield in exchange for some of the tools needed to produce that crop. Would the supplier ever agree to such terms if: a) he didn’t think it was a contract, and; b) he didn’t think such a contract was enforceable? It’s the b) part of the equation that is perhaps even more crucial than a). In other words, if one of the parties decides to break the terms of the contract, there has to be a remedy in place to recoup losses and damages, as well as some confidence that the remedy is reliable and will work. That’s part of the reason why a court system exists: to enforce legal contracts. It’s also why it’s so important to ensure that a contract is done properly. Of course, obtaining the services of a good business lawyer can never hurt. However, other simple measures can help, too, such as getting the contract in writing, ensuring all the parties to the contract are properly named and specified, setting the time frame of the agreement, as well as establishing jurisdiction, specific items being exchanged, and provisions for changing the contract if necessary.